Beautiful image..congrats on the awards. Great capture ! 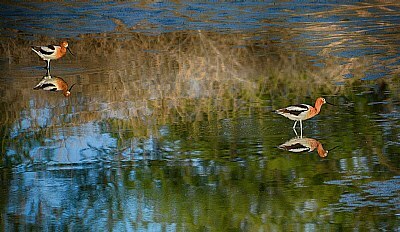 Love the scene and reflections of birds. Congrats !! Thank you for your kind words ! A very beautifully captured image...So well composed! Congrats on your double award! Congratulations for double award Gregory. Gongrats Greg for such beauty from nature!!!! Wonderful capture Gregory, Composition and colors/reflections are just great. Nice birds and great reflection Greg.